Avrebbe compiuto settant'anni lo scorso aprile il grande contrabbassista tedesco Peter Kowald, figura fondamentale nell'evoluzione e nella storia del free europeo, scomparso a New York dodici anni fa. L'etichetta Jazzwerkstatt ha compilato per l'occasione una sua dettagliata discografia, Discography appunto, riccamente illustrata con le copertine di oltre 140 album, disegni e altre opere grafiche dello stesso Kowald, producendo un box che contiene anche quattro cd audio, tratti da concerti e registrazioni in studio con Floros Floridis, Andrew Cyrille, Louis Moholo, Marilyn Mazur, Gunter Baby Sommer, Conny Bauer e Wadada Leo Smith tra i molti altri. 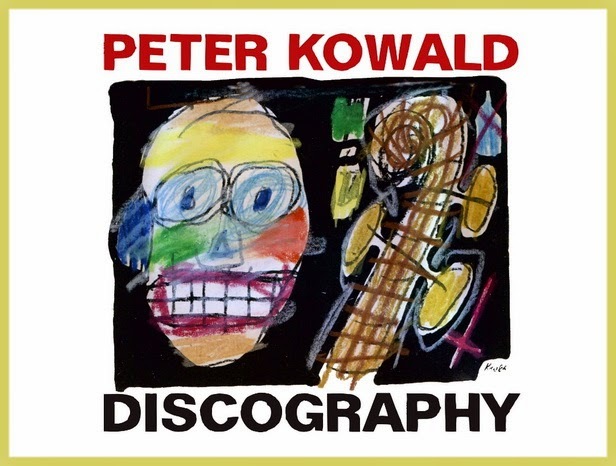 This discography of music work by the bassist Peter Kowald, who died in 2002, was compiled in honor of his 70th birthday. It includes an alphabetical catalogue of all 143 published recordings up to 2014 by and with Peter Kowald, as well as the cover designs and additional information relevant to the discography. The 208 page book also contains an index of all the films that Peter Kowald was included in, texts by Bert Noglik, Floros Floridis, Wolfgang Schmidtke, and Gunter Baby Sommer, and several photos and drawings by Peter Kowald. A register of all the participating musicians makes this discography into a scholarly reference work of 20th century music history.